February 26, 2013  It's been one year since the shooting death of Trayvon Martin, the unarmed black teenager was confronted by neighborhood watch volunteer George Zimmerman in Florida. Zimmerman claimed self-defense under the state's "stand your ground" law, and the case has generated national attention about the law and race relations. February 22, 2013  At the height of the housing boom, condominium towers popped up on the Miami skyline faster than you'd believe. Once the market crashed, those towers sat vacant. Now, led by foreign buyers, condos are selling again as developers try new, more stringent financing rules. 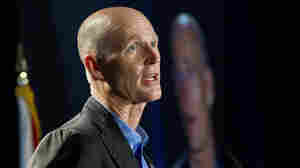 February 21, 2013  Florida Governor Rick Scott announced late Wednesday that he will expand Medicaid to an estimated 900,000 residents. The move is a surprise because the governor has previously been a vocal critic of President Obama's health care overhaul. February 15, 2013  This week's debacle on the Carnival Triumph is a setback that may cost the company as much as $80 million and hurt the industry's image. Carnival says passengers who were on the Triumph the last five days without power were miserable, but at least they were safe. Industry watchers say Carnival generally has handled the mishap well, but that the industry may need to rethink how it deal with events like power outages on floating cities than can carry more than 5,000 people. 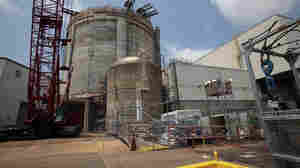 February 14, 2013  The Crystal River nuclear plant was a driver of commercial life in rural Citrus County, Fla. The power company's decision to close the troubled plant will leave taxpayers and ratepayers on the hook for up to several billion dollars and has residents worried about their region's future. February 13, 2013  It's turned out to be a lot more than just a three-hour tour. For passengers aboard the Carnival Triumph, a four day pleasure cruise has turned into a nightmare. The ship lost power in the Gulf of Mexico on Sunday and is being slowly towed to port in Alabama. The company says it's working to ensure safety and passenger comfort. But on board, passengers say toilets aren't working, food is scarce and conditions are horrible. February 5, 2013  In communities around Florida, vigils and other events marked what would've been Trayvon Martin's 18th birthday on Tuesday. Neighborhood watch volunteer George Zimmerman has been charged in the teen's death and a judge ruled Tuesday that a June trial will go forward as scheduled. February 5, 2013  Life in Puerto Rico is tougher than ever. The U.S. territory — popularly known as "the island of enchantment" — faces a decaying economy and escalating violent crime rate. Many residents are leaving the island in record numbers and embracing the mainland as home. 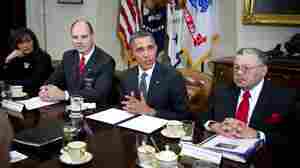 February 4, 2013  When President Obama announced new measures to prevent gun violence, one of the groups there to show support was the National Sheriffs' Association. 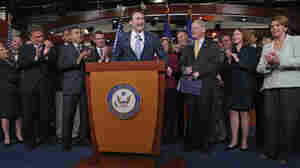 But not all of its members agree with the national group's support for what it calls "common-sense steps." February 3, 2013  The U.S. 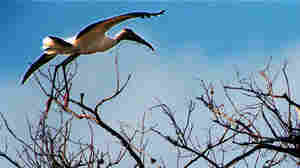 Fish and Wildlife may upgrade the wood stork's status from "endangered" to "threatened." 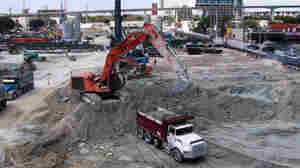 But some environmentalists and the Audubon Society says that in south Florida, the bird's population is still a long way from reaching a full recovery. 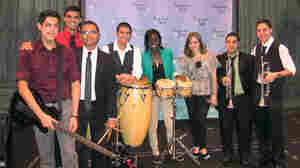 January 20, 2013  Seguro Que Si is nine young musicians from Kissimmee, Fla. They're appearing in this weekend's parade thanks to the efforts of one enterprising member. January 10, 2013  Gov. Rick Scott says he's concerned about how much expanding Medicaid under the Affordable Care Act would cost. But after he was charged with exaggerating, his administration released a new study with much lower estimates. 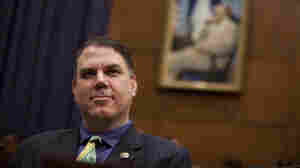 January 4, 2013  The Florida Democrat known for his biting comments targeting Republicans was among the House freshmen sworn in this week. He started serving in Congress four years ago but lost a bid for re-election. Now he's back and shows no signs of softening his tone. December 27, 2012  Florida has hit a milestone: It has become the first state to issue 1 million concealed weapons permits. Some Florida officials say that's a testament to an efficient process and Floridians' love of the Second Amendment. Others say the law is too lax and an invitation to violence. December 26, 2012  "Business Democrat" Patrick Murphy comes from a district that's home to more Republicans than Democrats. He managed to beat the outspoken Tea Party favorite, running on a pledge to try to end gridlock in Washington. But that will be a tall order.